Very unique country home with acreage for a mini farm. This 3 bedroom 2 bath home has a partial finished basement. Open floor plan with larger bedrooms and walk in closets. Large kitchen with lots of cabinets. You will enjoy the larger laundry room and the total privacy of this home. 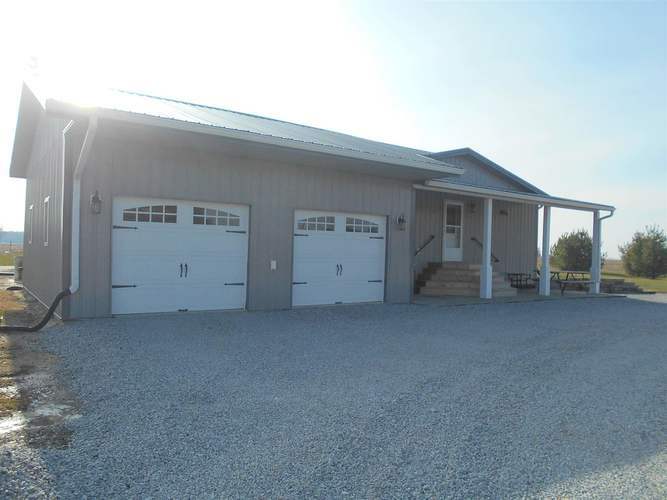 Very secluded with lots of outbuildings, and a barn for your animals. Move in and enjoy the seclusion here. Directions:From Monticello take 24 through Reynolds and go straight like you are going to Wolcott. Turn left at Seafield onto 600 W. and drive to 200 S. and turn left to house on right, up a long lane. Look for sign.